Two German premium car manufacturers, Mercedes Benz and BMW apparently had prepared their futuristic rides. 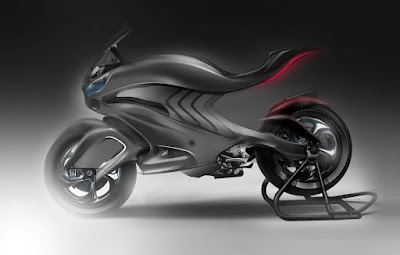 Although these are not formally recognized by the manufacturers, but it give some fresh ideas to us about the two-wheel vehicles in the future according to the designer's perception reliable. At least through some teaser sketches created and designed by two reliable auto designers, both of them seemed to want to show the attractive design of the motorcycles in the future. As quoted from Worldlesstech, featuring BMW motorcycle concept named 'BMW i Motorrad Beta | R Concept' designed by Sebastian Martinez. Motorcycles are included in this type of sport are white with trim colors typical of BMW is inspired from two-wheel vehicles Sci-Fi nuanced as used in the movie like Tron, Oblivion, and so on. 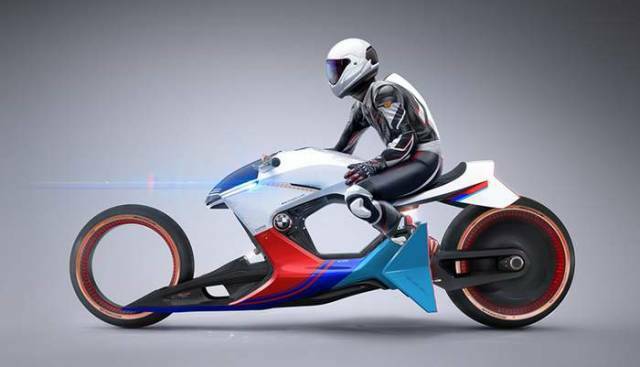 The BMW i Motorrad Beta | R Concept features a hollow chassis design, a hubless wheel on the front, a magnetic suspension and aerodynamic lines of a racing bike. Although its appearance is very similar to Tron Bike, the dimensions BMW is considering the size is not too large in order to maximize rider control. The use of tires is also smaller than Tron Bike which has a super width tread tire. While Merceds Benz based on information taken from the same source, Worldlesstech issued Revenge which is a vehicle of the future and designed by a Argentine reliably designer named Alfonso Nunez Perea. Unlike the BMW, motorcycle design is the concept of hyper functional, that is a mix between speed and technology. Mercedes itself will introduce Revenge Concept in 2030. Though the design appear exotic, Mercedes Benz Revenge will likely rely on speed. Seen from the design and position of the rider is specifically designed to support the aerodynamics perfectly while the motorcycle is used.